Clock dial displays are read left-to-right and you always round down; this meter's reading is 83402. Digital meters are read the same as a Cyclonic dial display, yet in a digital format. If you have peak, shoulder, and off-peak, your meter will cycle between them; these are known as meter registers. 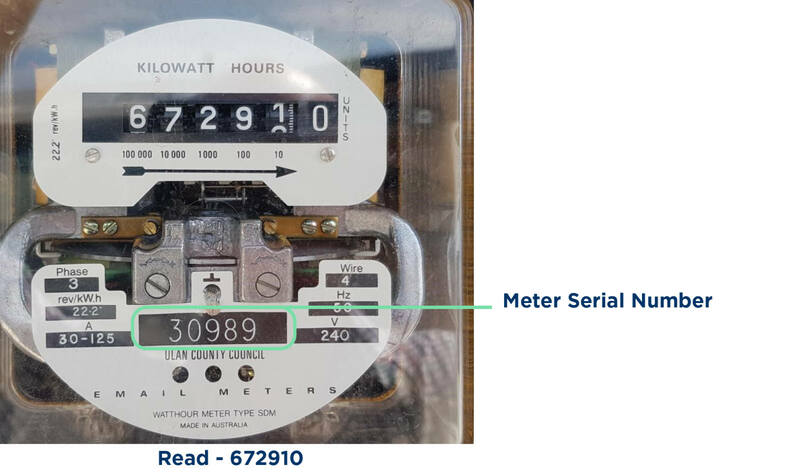 Connect the reading from your meter with the meter register on your bill. 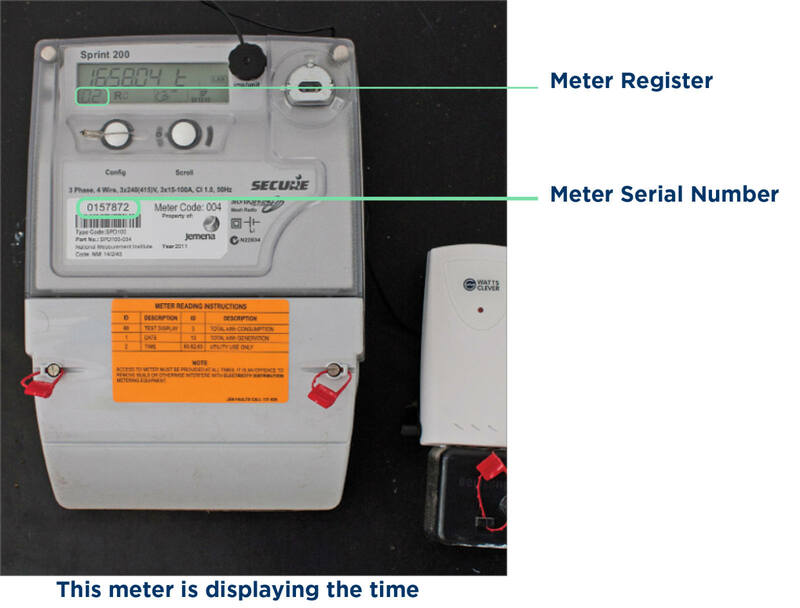 Smart Meters communicate usage remotely in 15-30 minute intervals, they will not display a meter reading. 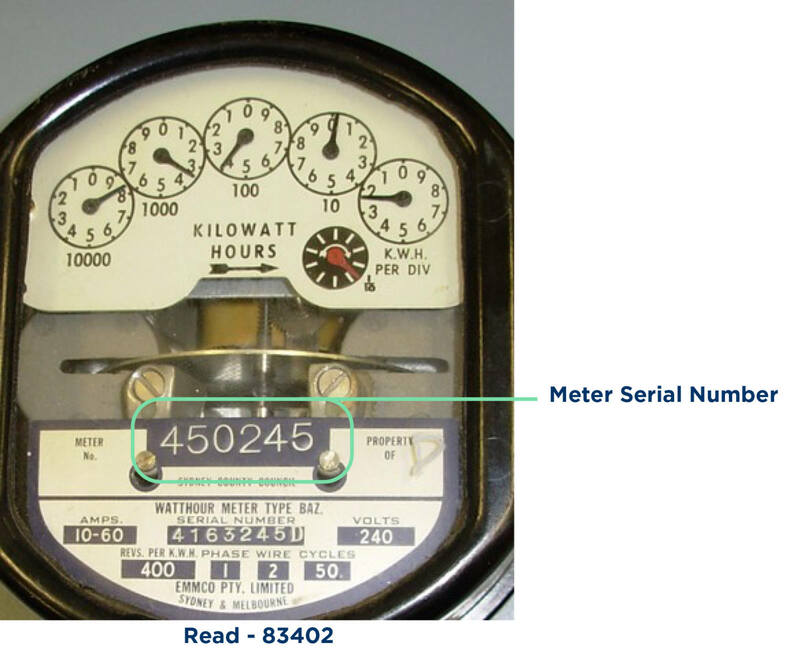 A smart meter will display index reads for each register which are a physical reading of total usage since the meter’s installation. Note: this reading is indicative only and isn’t used to calculate your usage charges, it’s used as a guide. Since the smart meter records data every 15-30mins you can request this information from us to view your usage. Please send your interval data request to info@bluenrg.com.au, we will reply with the past 12 months of interval data, or back until your transfer date if you’ve been with us for less than one year.